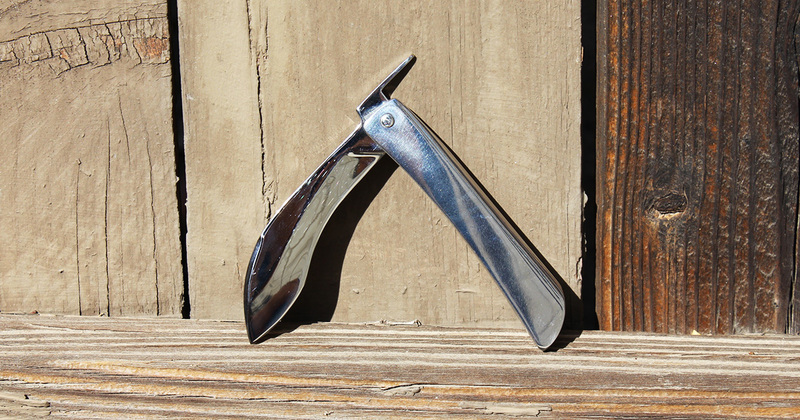 The knife is a friction folder (if you aren’t sure what a friction folder is we’ve got you covered). The blade material is D2 steel and the handle is AISI 316Ti stainless steel. There is also a version of each with a copper handle. So all in all there are six versions of the Urban Kukri. When I received my 100 mm version and unwrapped it from the bubble wrap, I was smitten. This thing is beautiful. It’s a shiny piece of metal that’s good-looking and well-made. Although you might look at it and think it’s just a piece of cold steel, the fact that it’s made by hand makes it feel surprisingly warm. 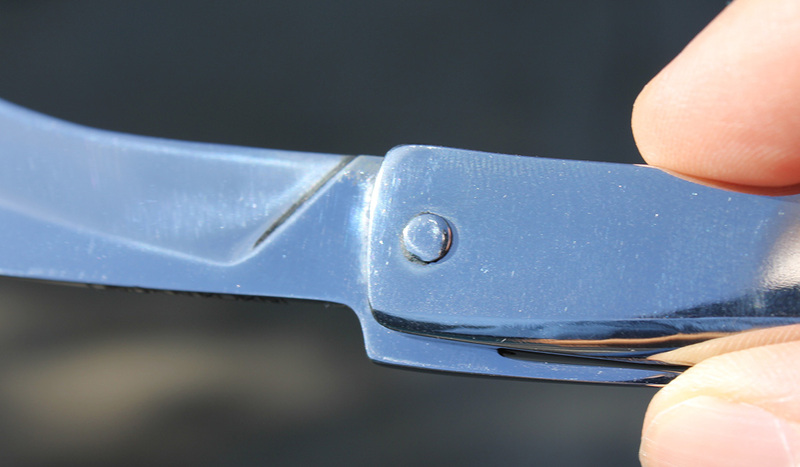 There are very few markings on the blade or the handle, which is something all companies should consider. 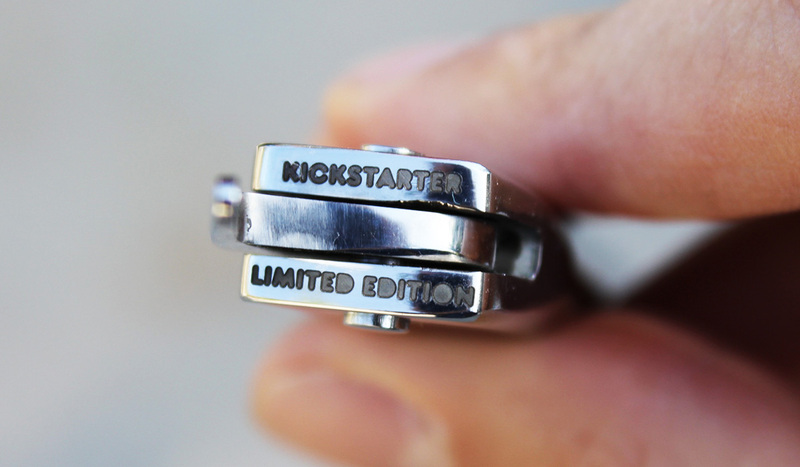 There is a small engraving at the top of the handle that says “Kickstarter Special Edition,” but it’s hardly noticeable. “Urban Kukri” is also written in small letters on the spine of the blade. 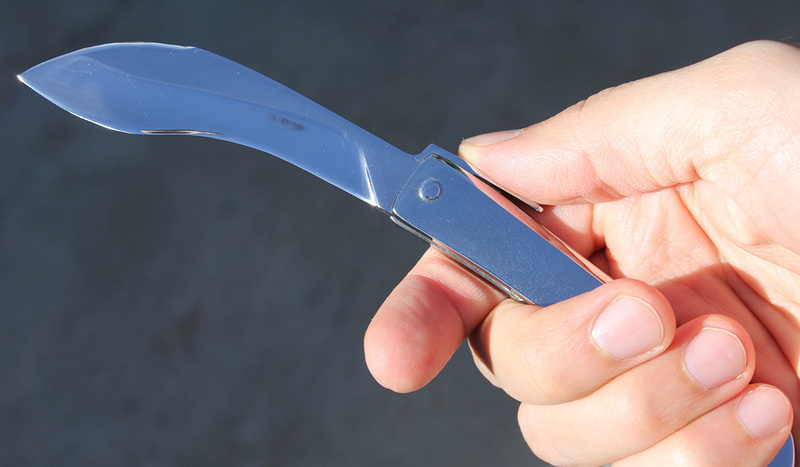 Upon engaging the blade using the extended tang, I found the opening to be extremely difficult. This can be problematic as I will talk about later. Out of the box, the knife was very sharp and easily passed the old paper test. One thing I haven’t gotten into yet is the fact that this knife is made using only hand tools and elementary mechanical devices. 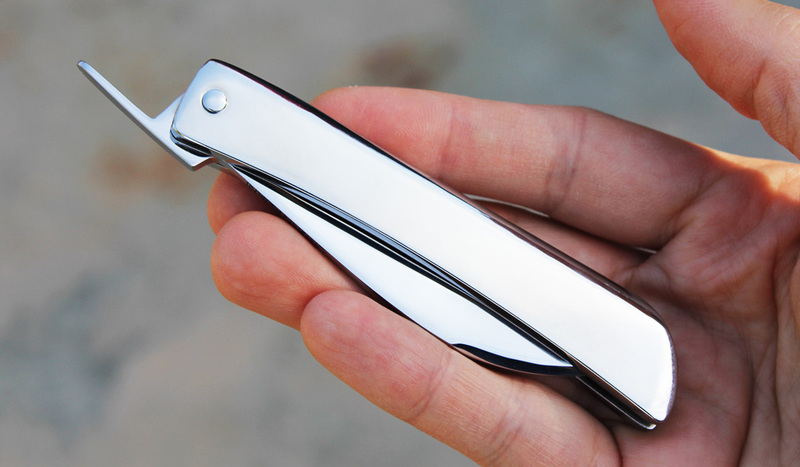 They call this the simplest folding knife currently available. Also, I chose the simplest mechanism, without additional, in my opinion, superfluous limiters, levers, etc. If you want yourself a knife with bells and whistles – a wheel drive(multi-tool), here is another idea. My knife for real aesthetes and connoisseurs. Simple and reliable. Almost everything I do with the help of hand tools and elementary mechanical devices, like my ancestors, 200 years ago forged their legendary sabers. The concept behind this knife is very cool and it looks like something you could put in a museum. In fact, it seems like using a knife in an installation is one of its possible purposes. I’ve been building this knife up as you can probably see because I’m about to cut it down a few pegs. For real world use, this knife is not the most practical. First, let’s get to the opening. There is no pivot. While Shaporenko opted for simplicity over everything, the availability of a pivot that can be adjusted is essential in a useful folder. The rivet allows the blade to be firmly locked when folded. If it loosens, you can tap the rivet gently with a hammer and everything will turn out as usual. Hammering the rivet when it loosens is a less than elegant way to fix something. Not only do I think it will loosen up the more I use it (it already has) but it might also just be the knife I have. Since they’re made by hand, I’m sure you get a range. Still, the lack of adjustable pivot is a problem if you plan on using this knife in a meaningful way. The kukri blade shape is interesting. The original kukri is a long machete found in Nepal meant to be used for everything — including cutting food and going to battle. 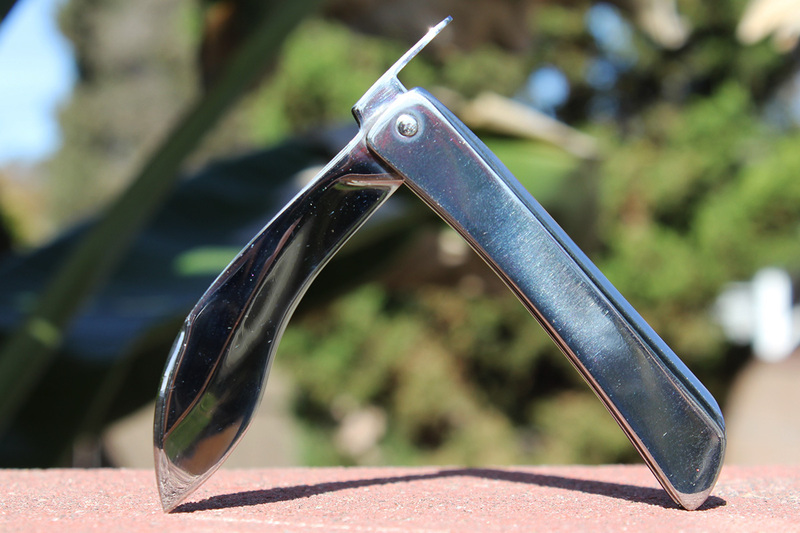 The reason is that the blade shape offers some serious versatility. It has a piercing point, deep belly for cutting, and a smaller portion for finer tasks. All those benefits are scaled down into the smaller size (though it gets less useful the smaller you get). With all that being said, sharpening will be a chore. You can’t do it with stones or many types of sharpeners. You’ll probably be best served using rods like those found in the Spyderco Sharpmaker. You may not think the kukri shape is the best for a folder, but like I said, the Cold Steel Rajah III has great reviews. I don’t have problem with friction folders because they have a time and a place. This knife was made with the intent of conforming to many different laws, especially those that ban locking blades. The UK has some pretty stringent knife laws, so this is good for people in Europe. 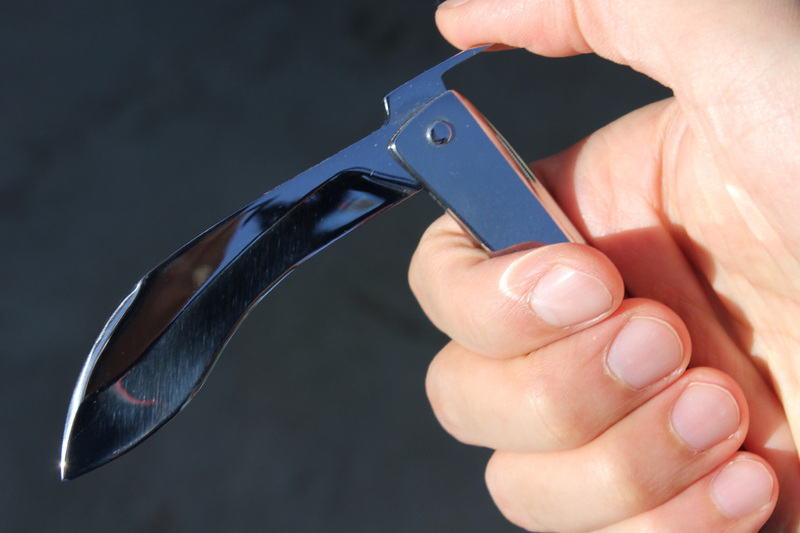 Another reason for the friction folder is that locking mechanisms are modern creations. 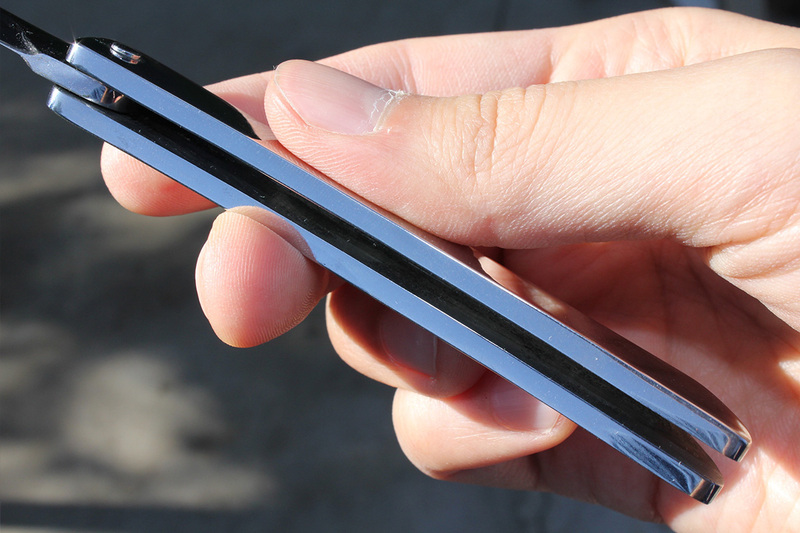 This design harkens back to the old days when friction folders were the way to go. 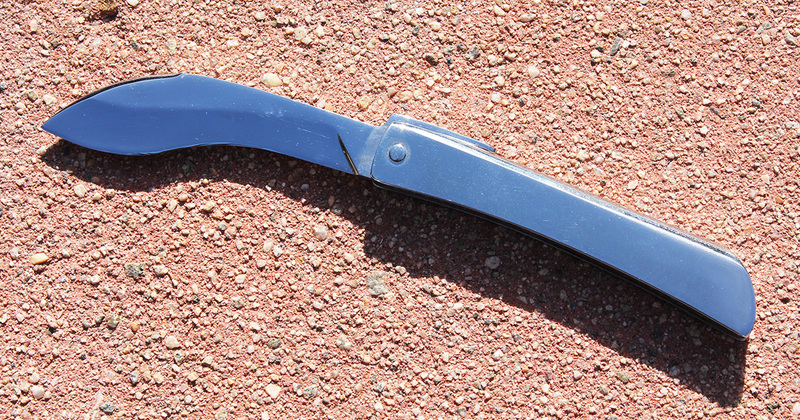 For an EDC in the United States, a friction folder is perfectly acceptable, but don’t expect to go batoning with this folder or using it for hard tasks. One thing that may bother people who plan on using the knife is the size and weight. The knife comes in a few different sizes, so you have some options. However, the way it was made puts a lot of weight on the knife. The 100 mm knife weighs in at 4 ounces, which can be heavy in an EDC. You can get a hard-use folder like the Rajah III with a locking mechanism and a 3.5-inch blade at 4.5 ounces. On top of the weight, it doesn’t have any carry methods. 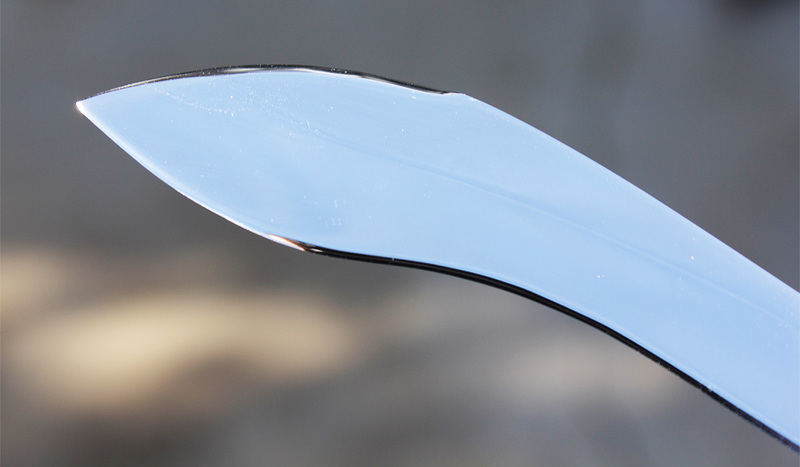 There is a stretch goal that includes a sheath, but just having it loose in the pocket may spell trouble, since the extended tang can be very pointy. So while the Urban Kukri is made to be used in real life applications with some limitations, I would say the knife works best when used as a set piece or a piece of art. 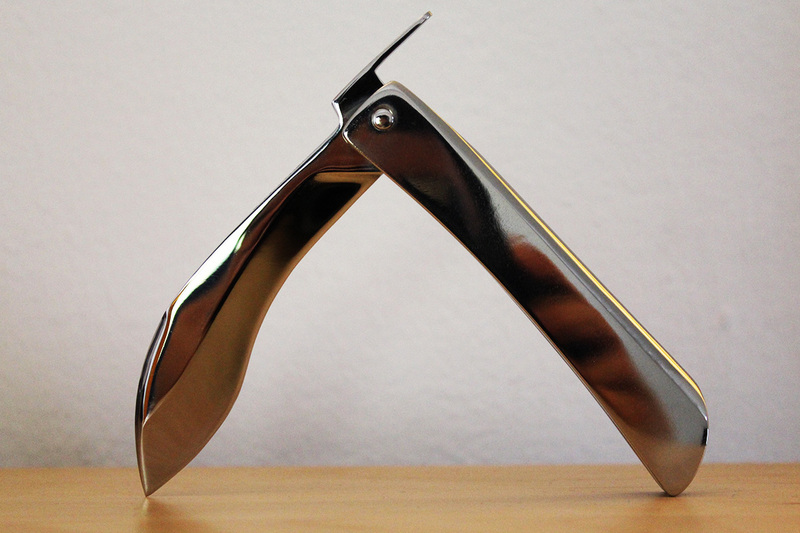 Initially, Urban Kukri thought of me as a sculpture. He must stand on the table and tell everyone that the owner of this knife is an aesthetic and loves knives. By functionality, the knife can cut, can beat with a ponytail. But I never wanted to create weapons, and if I make a lok to this knife, it will be already a formidable weapon. It’s not surprising to say this is a sculpture first and foremost and that’s not a problem. There are a ton of ways to get the different “rewards.” I encourage you to check out the Kickstarter page for all the details, but here’s a general breakdown. As of right now, you can get the 30-mm version for $25, the 50mm version for $35, and the 100mm for $55. For $110, you can get all of them. 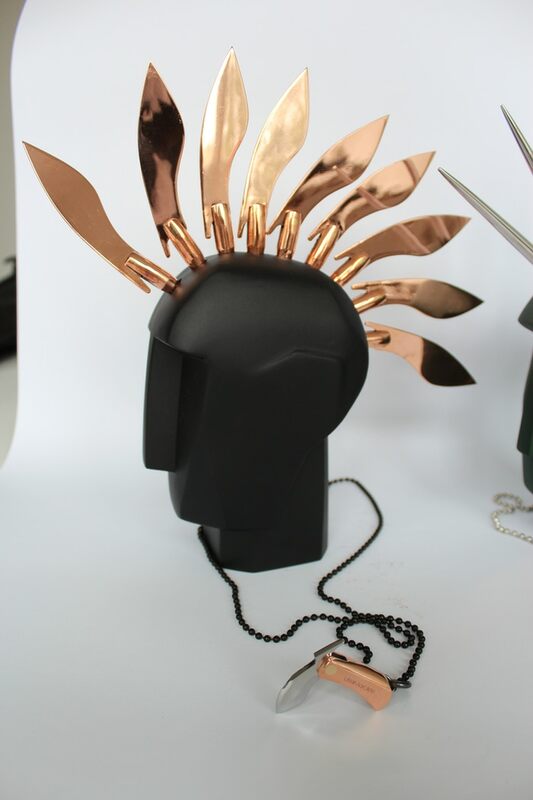 Finally, for a cool $5,000, you can get a mohawk sculpture featuring the knives. I love this knife. It is gorgeous and has a great backstory. I want people to ask about it when they look at my collection, so I can tell them how it’s made using hand tools and elementary mechanical devices by a team in Ukraine. But will I ever carry it around as an everyday carry knife? Likely not. It’s too heavy, impractical for hard use, and is a pain to sharpen. I’m happy that the project has been funded already and that Shaporenko and his team are able to create his Manual Craft company. I’m looking forward to what other creations they come up with. If you want a tough EDC folder or even an EDC that conforms to laws in the UK, you’ll probably want to look elsewhere. But if you want a knife that’s a work of art with a great backstory, head over to the Kickstarter page.